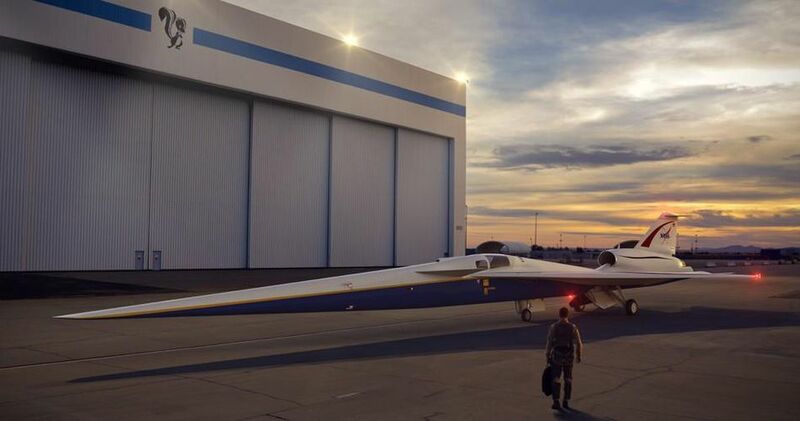 This week NASA awarded a nearly quarter-billion-dollar contract to Lockheed Martin this week to build a quiet supersonic experimental aircraft. The experimental plane, known as an X-plane, could pave the way for commercial supersonic travel over land. Last summer, NASA researchers used the range over Cape Canaveral to conduct sonic boom testing, much to the dismay of local residents who sometimes heard up to 11 sonic booms a day. Researchers from NASA's Armstrong Flight Research Center and Langley Research Center in Virginia conducted the tests as part of the Sonic Booms in Atmospheric Turbulence flights program, or SonicBAT. That project will help researchers understand how atmospheric turbulence can influence the sonic booms residents often hear after SpaceX lands its Falcon 9 boosters at Cape Canaveral or when the Space Shuttle would return to Earth. However, the $247 million X-plane contract with Lockheed Martin Skunk Works aims at eventually bringing supersonic travel to the masses. The Federal Aviation Administration currently does not allow supersonic flights over land, because of the environmental effects of flying at speeds quicker than sound. "NASA's development of quiet supersonic flight technology needs support, interest and engagement from the community to ensure that the potential sound is acceptable to those on the ground," said Peter Coen, NASA's Commercial Supersonic Technology project manager, ahead of the August 2017 tests at Kennedy Space Center. Lockheed Martin Skunk Works will begin in April designing the experimental aircraft, which will cruise at 55,000 feet at a speed of about 940 mph. The X-plane will generate sound only as loud as a car door closing, 75 perceived level decibel, more like a thump, instead of a rumbling sonic boom, NASA officials said. This aircraft has been in the works for while before Tuesday's announcement. NASA first awarded Lockheed Martin Skunk Works a contract in 2016 for the preliminary design of the X-Plane. NASA said it expects to receive the X-Plane from Lockheed Martin by late 2021. The agency will then conduct additional flight tests, before putting it to work at NASA. The following year NASA officials said they will fly the X-plane over U.S. cities and collect community responses to the noise. That information will then be provided to the FAA and international regulators, to allow new rules for supersonic flight over land. Those regulation changes, according to NASA, would allow commercial flights to bring faster-than-sound travel to passengers and cargo.